Association for "Living Lightly on the Land"
A converted Mill with 4 Independent houses provide a unique shared-use opportunity. Two properties are furnished, one is fully restored features a wooden interior, one house is in need of restoration, whilst the Water Mill (30m2) has been restored with fresh water available for irrigation. Built area 365m2 on 1000m2. Two garages plus small green-house. Two wells and one bore hole provide a reliable water supply. The nearby lake is a delight. 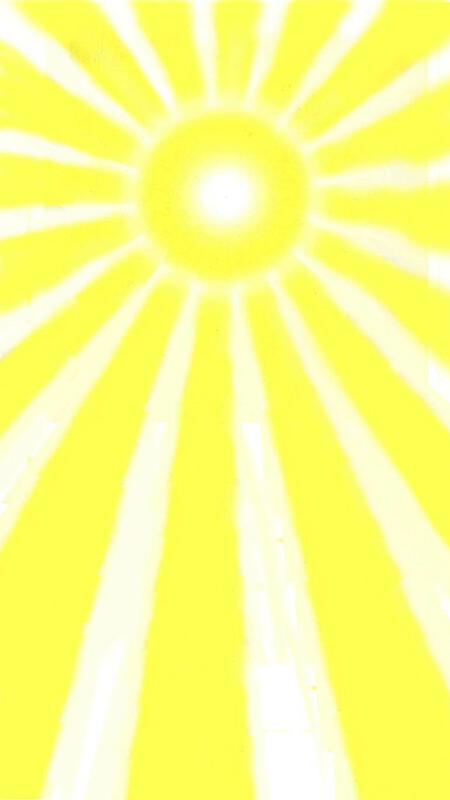 Electricity from solar power. Access is good. 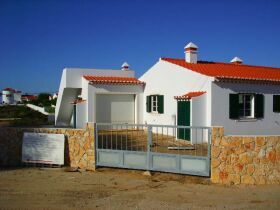 Close to Village of Cavaleiro, 15 Km to seaside resort of Milfontes and only 5 Km to the nearest Beach. Price:- � 450,000 Euros Neg. �Casas Duplos� - Two family size houses sold together suitable as up to 5 apartments accomodation with rental opportunities. 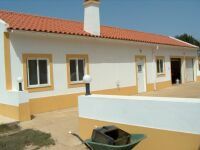 On 2.4 hcts land situated between the coastal towns Villa Nova Millfontes (15 km) and Sines (20 km). Just 3 kms to the beach. House 1. 150m2 arranged into two apartments. One has living room, kitchen, bedroom and bathroom. The other apartment combines kitchen and living rooms leading to two bedrooms plus bathroom. 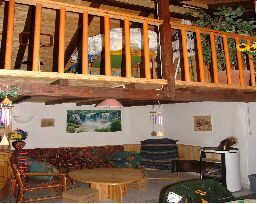 The attic of 80m2 also has 2 bedrooms, a bathroom, living room and small kitchen. This house features two terraces. House 2. 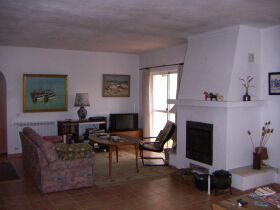 150m2 has one bed/sitting room, plus a further apartment with living room, kitchen, two bedrooms and two bathrooms. The attic space has one bedroom, but the remainder of the 40m2 space has not yet been converted into separate rooms. This house has one terrace. There are two garages. 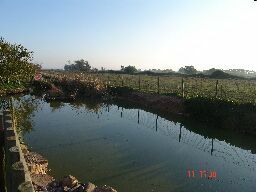 There is a well and a borehole, small pump house with 3 phase electricity supply. 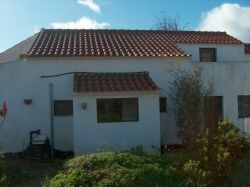 "Vale De Telha" - New large 3 bedroom house of 140 m2 set in 800 m2 of land. Swimming pool 8x4m. Open fireplace in the living room. One bedroom with on-suite bathroom, plus a second bathroom. 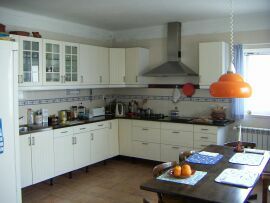 Hall and fully fitted kitchen. Double glazed throughout. Roof terrace over the garage. 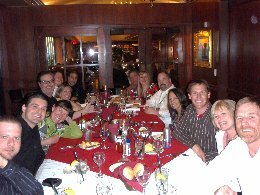 All services connected. 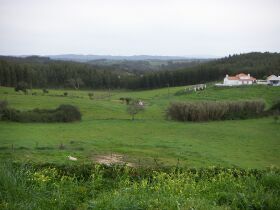 Vale De Telha is only 1 km from the beach. 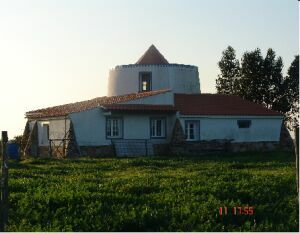 This village is just south of Aljezur off the main road to Lagos, Faro airport and the Algarve. 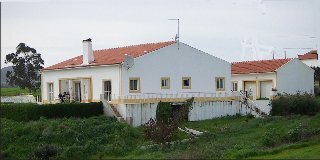 "Casa da Fonte" - in Catifarras village, Two large family houses on 2.9 hcts land. Magnificent views over and a well established gardens, located approx 7 kms from the town of Cercal, about 15mins to West coast beaches. Electricity and water services are provided. 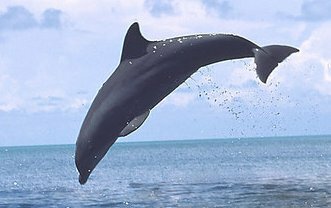 Main house is 175m2, with swimming pool, has a large lounge with open fire, kitchen, 2 bedrooms and 2 bathrooms, with 3 further bedrooms in the former attic space. Double glazed throughout and centrally heated. 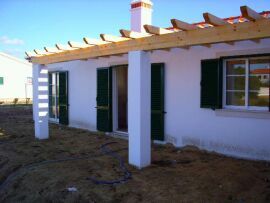 Second house of 100 m2 has lounge, kitchen, bathroom and two bedrooms, laundry and twin garage. Gas fired boiler also sep. Septice tank. 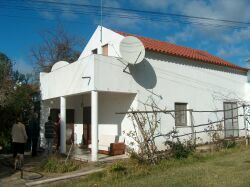 Washing machine, fridge, and cooker appliances are included in the sale of this property. 30 min's drive to beaches on west coast. 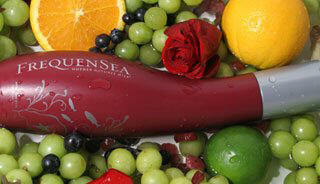 Our aim is to promote sustainable and self-reliant lifestyles in Alentejo, Portugal. We can offer you our skills and resources for traditional building, solar & wind power, growing food and a variety of traditional and modern craft.